Happy Chanukah! It’s time for My Mother’s Potato Latkes. This year I baked them and, wow, are they delicious! No oil, no frying. The house smells like potatoes and not fry! 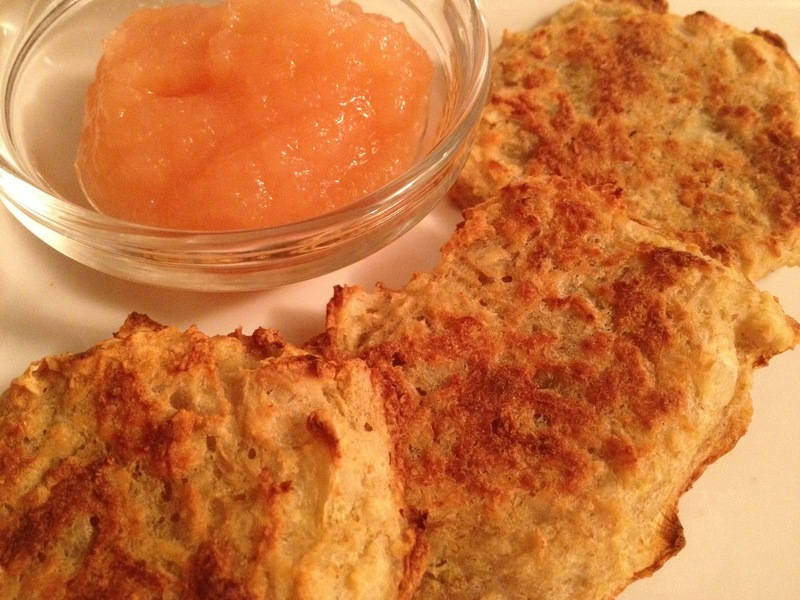 Serve with homemade applesauce. Whip up the flax eggs and set aside. Line a baking sheet with non-stick aluminum foil. Peel the potatoes and place them into the food processor. Process finely. Drop them into a big strainer and run the water over them until it runs clear. Pour into a big mixing bowl. Process the onions. Drop them into the strainer and press out the water. Mix the onions with the potatoes and then add the flax eggs, flour, baking soda and salt. Mix well. Drop them by the tablespoonful onto the baking sheet. Bake in a 450 oven for 10 minutes on the first side. Flip over and press down to flatten the latke. Cook the second side for 10 minutes too. Enjoy!